Not sure what to do with this extra hour of daytime that we have? 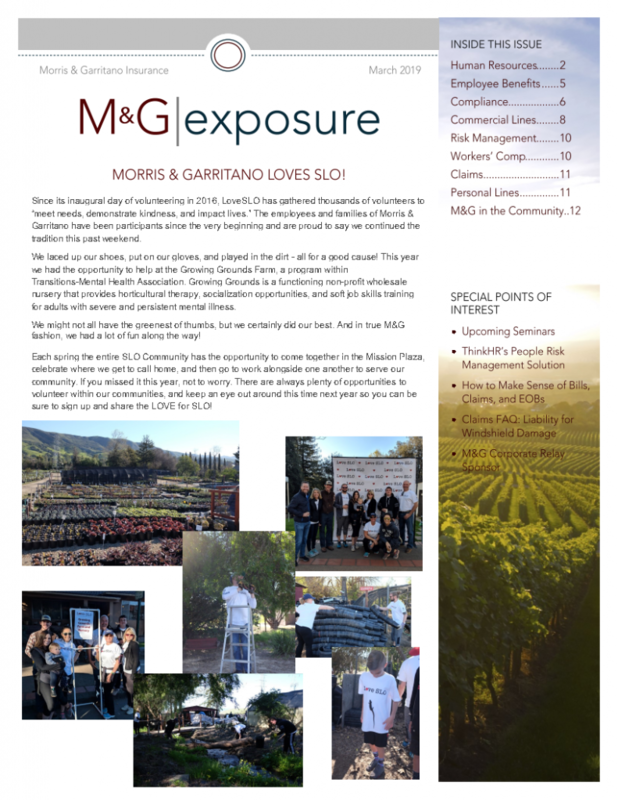 We’d recommend checking out March’s M&G | exposure newsletter! This month we cover all sorts of topics: access to an online Employee Harassment Prevention training course, myths and facts of the ACA, understanding an EOB, and what to do if your homeowner’s rates are increasing.